Flat Roof Design – What to Consider? Home Blog Flat Roof Design – What to Consider? 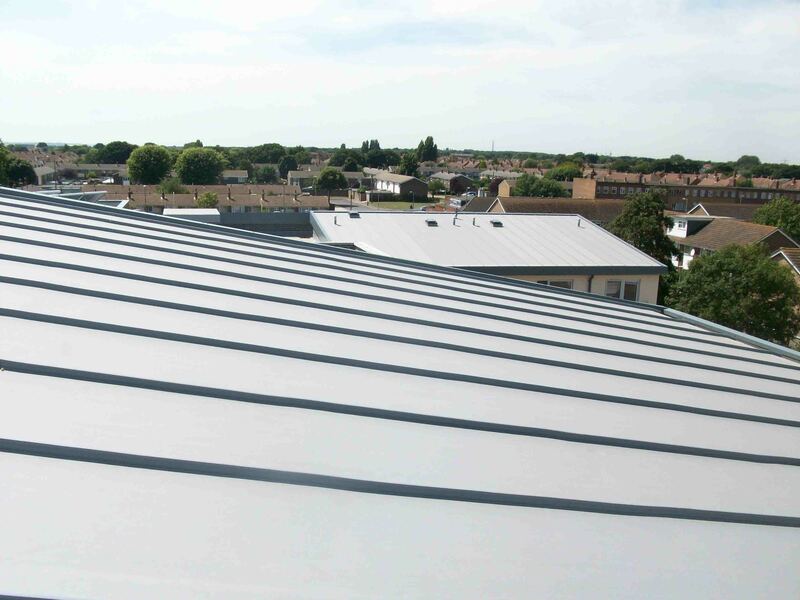 Flat roofs are often specified for a variety of reasons; aesthetics, cost and functionality. So what are the most important factors to consider in flat roof design? While their conceptual and visual simplicity is undoubtedly part of the appeal, specifiers should be aware of the complex detailing and required design to achieve a solution that is fit for purpose and provides long-term protection. 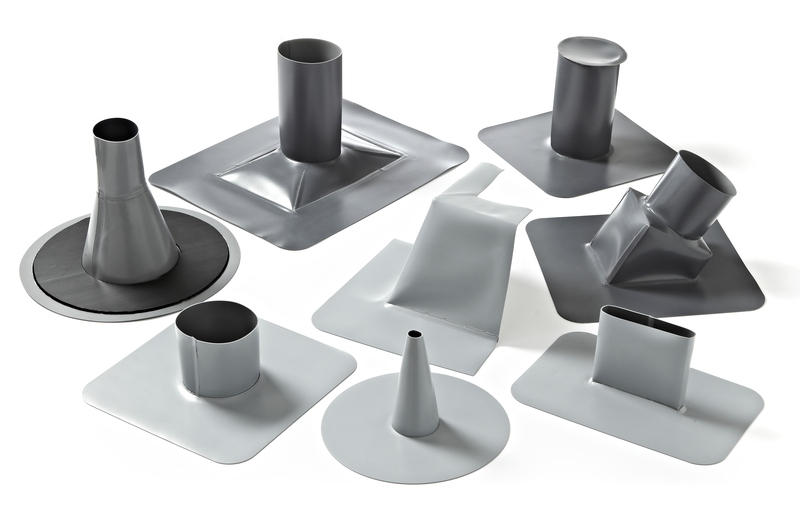 Adding to the complexity of the design process, there is a number of different flat roofing materials and systems available – each with its own individual characteristics and technical requirements. Does it have plant equipment on it? Where are the outlets positioned and how will rain water be directed to these locations? How will it be inspected and maintained in the future? Ideally, architects and specifiers should engage with a roofing expert at the earliest possible stage to discuss all aspects of the specification for a flat roof and how it interacts with other elements of the building. Changing the specification of a single element can either avoid or cause common problems such as material clashes, interface incompatibilities, interstitial condensation, insufficient U-values, and practical buildability. Careful consideration should be given to parapet and upstand heights at the outset, setting out the roof design from the highest point as a start. This will help to avoid problems relating to issues such as low door thresholds and lack of adequate falls for drainage later on. A flat roof should be designed to meet a fall of 1 in 40 to achieve a finished minimum fall of 1 in 80 once installed. 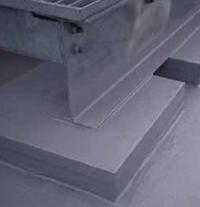 Many specifiers aim only to meet the minimum standard of 1 in 80 achieved falls for a flat roof, this leaves little room for error when it comes to building tolerances and roof deflection and can result in non-compliance and problems at a later date. Ideally upstand heights should go beyond the minimum 150mm standard, this allows future refurbishment or extension work to accommodate predicted increases in insulation depth without compromising critical junctions around rooflights and other openings. Particular attention should be paid to project sequencing and preceding trades. For example, the detailing of roofs around openings and reveals needs to be completed before doorways, rooflights and clerestorey windows are installed. Achieving adequate long-lasting weather protection around these critical junctions can be very difficult if these elements are already in place. Fitting balustrades and mansafe systems also need to be properly co-ordinated to avoid damaging the roof covering. IKO Polymeric has tested various mansafe systems and can advise on the best way to detail these. Another important consideration is whether the roof will be used for material storage or as a loading deck during construction. For a warm roof on a concrete deck, it may be worth upgrading the vapour control layer to a robust bitumen-based product, and delaying installation of the insulation and waterproof membrane. When the roof deck has served its purpose as a loading or storage platform, any necessary local repairs can be made to the VCL before the rest of the roof is installed. This approach not only avoids the cost of temporary roof protection, but also ensures that the finished roof does not get damaged and ends up having lots of unsightly patched applied. Obviously, it’s important to carefully control access once the roof is finished. 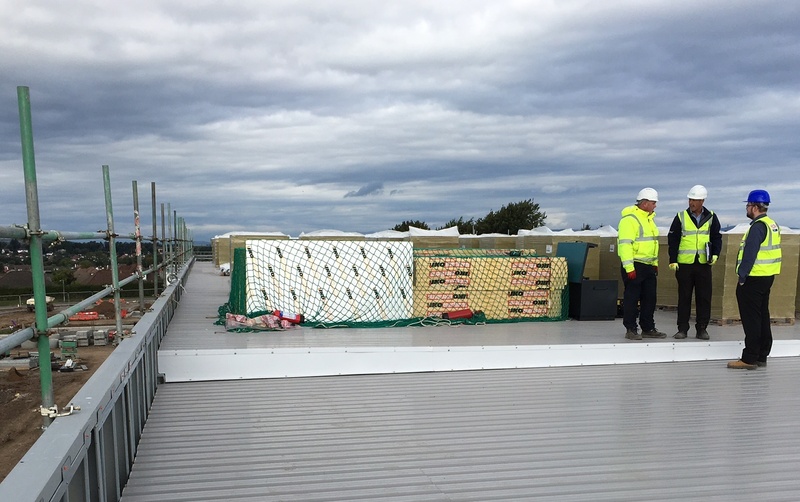 Damage from follow on trades is one of the biggest issues encountered with single ply membrane roofs in particular however careful planning and protection can easily avoid any problems. Specifiers should insist on full QA and QC procedures to ensure the roof is properly constructed. Hold points are also important, as they give specifier the opportunity to check key elements of the roof design as they are completed, such as VCL laps. This can include photographic evidence of correct procedures. The IKO Polymeric team of Field Engineers carries out interim and final inspections on each project and our guarantee won’t be issued until a satisfactory final inspection has been carried out. IKO Polymeric does not sell its products to installers who have not completed one of our training courses. Our Field Engineers then support these newly accredited installers by visiting site regularly. Ultimately, we want installers to use our products with a high degree of expertise and confidence. Maintenance should always be in accordance with IKO recommendations and the Flat Roofing Code of Practice (BS 6229:2003). Flat roofs should be inspected at least twice a year – more if they are located in areas with lots of trees. Regular scheduled inspections resulting in clearance of detritus and early detection of damage is essential to ensure flat roofs meet and surpass their guarantee period. Cold roofs are less popular in the UK due to the need for increased depths of insulation required to meet current U-values and the requirement for cross-ventilation. It’s more a question of whether to specify a warm or inverted roof. An inverted roof places the waterproof layer directly over the roof deck and beneath the closed cell thermal insulation and ballast where it is less susceptible to damage and UV-degradation. On the downside, the waterproofing can be difficult to access in the case of water ingress, it needs to be ballasted which increases the overall weight of the roof and is generally installed on to a concrete deck adding overall roof construction cost. Single ply membranes are often recommended for flat roofs as it is simple, economical and quick to install. For roofs that have multiple penetrations detailing can be made easier by using IKO Polymeric bespoke detailing service or the IKO Polimar UV Liquid applied waterproofing system for really complex situations. The full specification and whether to use an adhered, mechanically fixed or ballasted roof will ultimately depend on answers to specific questions, such as the roof complexity, size, aesthetic considerations and any additional requirements such as fire and acoustic performance or FM requirements. The main recommendation I would make to specifiers would be to seek early engagement with a flat roofing expert, IKO Polymeric have a team of business managers, an internal and field based technical team along with an approved contractor network that are specialists within the single ply roofing industry and are happy to offer design advice.